When the solicitation you are responding to is an Invitation to Bid (ITB), writing your proposal will basically consist of completing forms that the government provides. The key here is to make sure that you diligently complete the forms as instructed. Many a dollar has been squandered by individuals failing to follow instructions and being tossed out of consideration. When the solicitation is a Request for Proposal (RFP) or Request for Qualifications (RFQ), a formal proposal is required. An RFP is a negotiated solicitation or bid document that outlines the contract and project requirements and asks companies to respond with a proposal. Therefore, in addition to completing forms, you now have to create your own proposal explaining a plan for meeting the customer’s needs. You may be required to work up drawings, biographies of personnel, management plans, and other types of information that demonstrate the capability of your company to fulfill the requirements. At the same time, the proposal must be straightforward, concise, complete, organized, and reader friendly. An RFP can take a significant amount of time, effort, and money. So before you even start, take time to evaluate whether the investment is in your company’s best interest. To make your efforts worthwhile, the proposal should present a legitimate opportunity for you to be successful. Your proposal must sell your company’s ability to meet the customer’s requirements and to deliver on time. Be specific but direct, because being vague will only demonstrate that you do not understand what is required and will create questions in the minds of the evaluators. Validate your promises and assertions with facts and details. Your goal is to persuade evaluators that your capabilities are superior to those of competing companies and to prove that your company can do the job. This can be challenging at times. While in some cases the customer will know exactly what it needs, in other cases, it may not know or may make conflicting or vague statements. In either case, it is your responsibility to demonstrate your understanding of the requirements. If your proposal does not respond to the stated requirements or responds to only some of the requirements, it will be considered non-responsive and will not be considered for a contract award. This means that not only must you demonstrate your understanding of the requirements, but you must also demonstrate your ability to meet them. Include the qualifications of staff and relevant facilities, as well as any other qualifications that are specific to the project you are bidding on. Your proposal should communicate clearly your ability to perform the contract successfully. Documentation of successful past performance will help prove your point. Give examples of stellar performance on past contracts. This will show experience in related areas. If you are looking at a project that is much larger than you have ever completed before, show how you will manage it, what you are going to do, who you will be working with (in the case of a joint venture), how you will work together, and who is responsible for what. 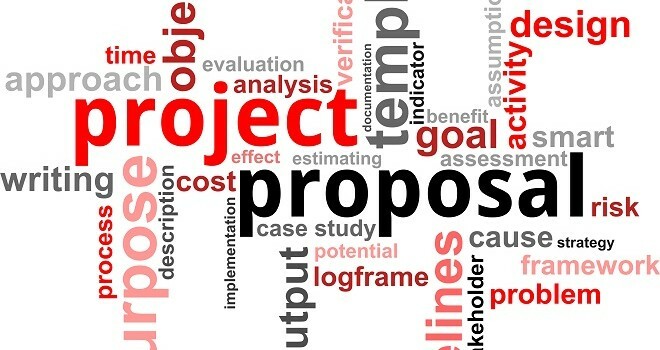 The solicitation will identify the factors that the customer will look for when evaluating your proposal. Cost is but one factor. If your proposal does not respond to the criteria identified, it will be judged to be technically unacceptable and will not be considered for award. The solicitation will specify which topics should be covered in your proposal as well as the order in which they should be presented. If you do not follow the required content format and organization, you risk neglecting or omitting important information, which may result in a rejection of your proposal. Do not get wordy or long-winded. Stay on topic and to the point. Read the evaluation factors and use them to make the reader’s job easy. If there are areas in which you may be deficient, do not try to hide them. Rather, highlight them and show how you will solve the problem. Use graphics and only include a point that needs to be made. Use bullets and headlines that will help keep you on topic. Writing an effective proposal requires time and patience. Be prepared to write, evaluate, and rewrite as necessary. Rewriting gives you the chance to improve the quality and responsiveness of your proposal. Pay close attention to detail. Good grammar and spelling count. Ask another person with those skills to proofread the final draft for you. If you use abbreviations, acronyms, or in-house terms, make sure that you spell them out and define them, at least the first time they are mentioned. You cannot assume that all those reading your proposal know what you mean, because they may not. It could then end up costing you some points because you were not clear on what you were trying to say. This can end up saving you time and money. 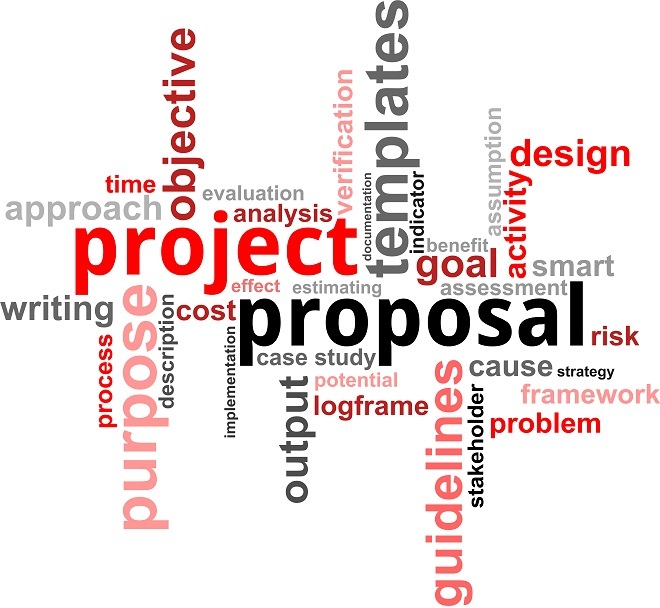 The next time you have to write a proposal, you can go back and perhaps use all or part of a proposal that you did in the past.